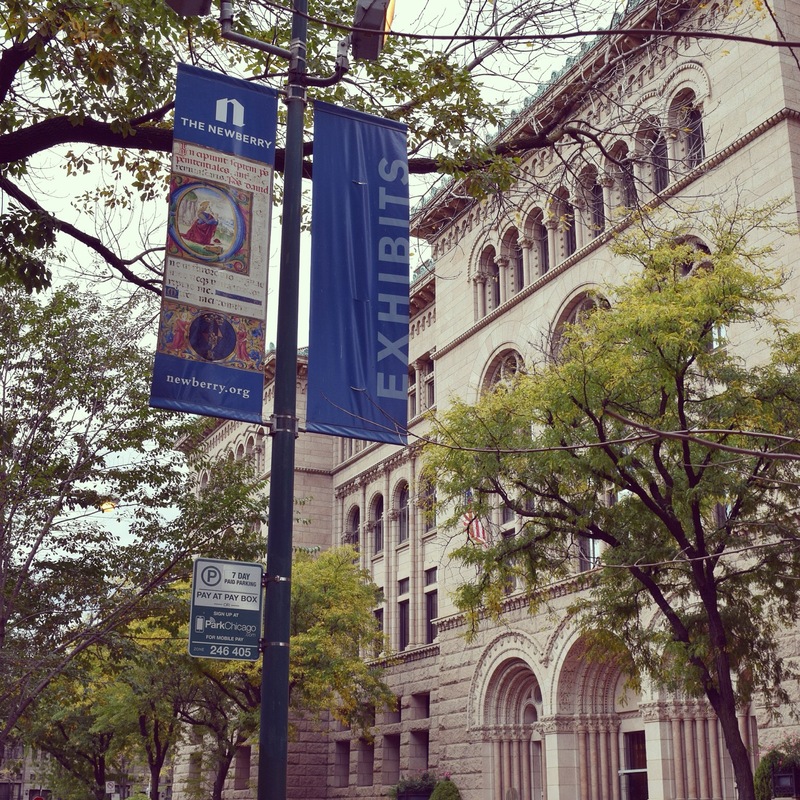 June 7, 1889 –Negotiations end as the trustees of the Newberry Library agree to purchase the entire block bound by Washington Park on the south, Clark and Dearborn Streets on the west and east and Oak Street on the north from Mr. Alfred Cowles for $175,000. Architect Henry Ives Cobb has already been brought on to design the new building, which is expected to cost between $500,000 and $750,000. A prominent city realtor says of the decision, “The price at which the transfer was made is at least $25,000 below the market. It is a fine piece of property … and is unquestionably the most accessible piece of property of its size on the North Side.” [Chicago Daily Tribune, June 8, 1889]According to the Encyclopedia of Chicago, “The library was made possible by a bequest form the estate of Walter Loomis Newberry, an early Chicago pioneer involved in banking, shipping, real estate and other commercial ventures. Following his widow’s death in 1885, Newberry estate trustees William H. Bradley and Eliphalet W. Blatchford established the library in 1887 on Chicago’s Near North Side and hired its first librarian, William Frederick Poole.” Today the Newberry is a non-circulating library, open to the public, that welcomes researchers to its reading rooms and offers exhibitions, lectures, a host of adult education seminars and other programming. 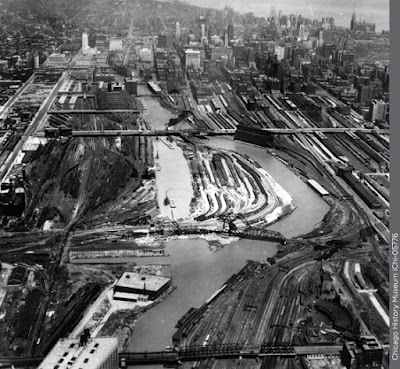 June 7, 1924 – President Calvin Coolidge signs 105 Acts of Congress, including an act that will permit Chicago to construct a new channel for the south branch of the river between West Polk Street and West Nineteenth Street, straightening the river so that it will meet the demands of the city’s future transportation plans. This is a huge project that will finally get rolling in September of 1928. A May, 1929 article in Popular Mechanics Magazine evaluated the massive project in this way, “Railroad yards on one side of the river had to be sold to rival railroads on the other side, as they changed locations when the stream was moved. The readjustment also took a kink out of all the railroads entering two big terminals, the LaSalle and Grand Central depots.” It took just 15 months for the huge project to be completed. For more information on the straightening of the river, you can turn to this section of the blog. June 7, 2000 – The Chicago Tribune reports that as the Coe mansion awaits the wreckers on Dearborn Street, the Daley administration proposes landmark district status to protect buildings along a half-mile stretch of Dearborn, all of which were built in the 1870’s and 1880’s in the decade or so after the Chicago fire. The proposal would grant the structures preliminary landmark status, triggering a year-long process of public hearings if new construction or alterations are proposed. “Once a demolition permit is granted, our hands are tied,” says a spokesman for the city’s Planning Department, Becky Carroll. “Getting these buildings on the docket gives the city the ability to save them.” [Chicago Tribune, June 7, 2000] The threat to the Coe Mansion, which housed a popular Renalli’s Restaurant and which actually did end up being torn down, generated a new unity among various preservation groups. Out of the struggle to save the building Preservation Chicago was born.